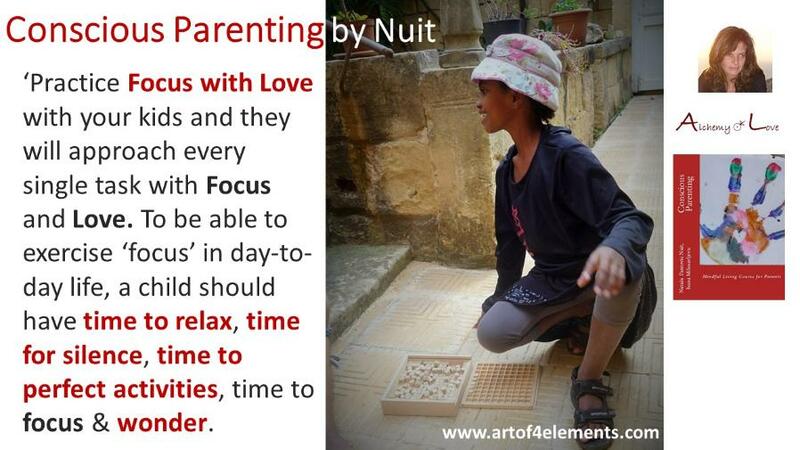 Conscious Parenting Course is the book 5 of the AoL Series of Courses published by Artof4Elements. 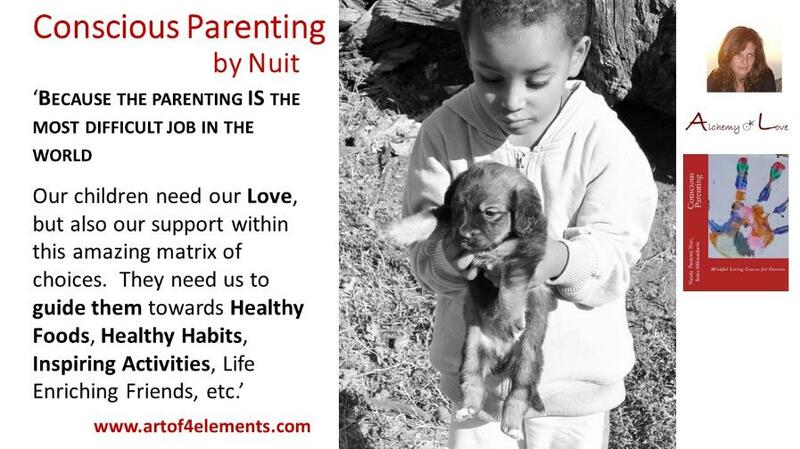 Conscious Parenting is the self-development course designed for parents. We use Transformation Tools and Spiritual Exercises that will help you get in touch with your Soul, with Love, and with Patience when dealing with kids. Explore the magic work with: Soul's Diary, Spiritual Parenting Diary, Developing Parenting Virtues, Meditations, Rhythm, Day-to-day Routine, Happy Family Structure, Cultivating of Relationships, etc. Within 12 Modules Examine 12 areas of Your Life and Implement various Spiritual Transformation Tools to help you Live your Highest Potential as a Parent. Core-Beliefs: Understand and practice Conscious Speaking, Mindfulness, Truthfulness, so that you can give your children a gift of core beliefs that will empower them to create the life they desire. This book is a treasure! I've been on the path of self-development for over 15 years and of motherhood for 3 years. I've learned a lot on the way. Yet the Conscious Parenting book has taught me a great deal of parenting wisdom. 'A child has a deep longing to discover that the world is based on truth. Respect that longing. For further inspiration check: Conscious Parenting Book Reviews and articles on the Publishers Web-site.